This is another new item we are getting from direct from Japan. Make your own Awamori (泡盛), which can be expensive to buy bottled. This black koji spore packet is only by special order and can take a few extra days to receive from Japan. 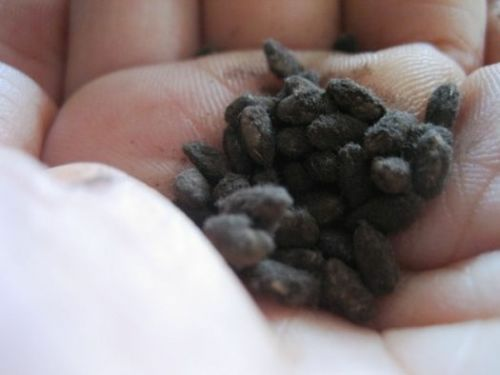 Black koji (Aspergillus Luchuensis or Aspergillus awamori) is mainly used in Okinawa to produce awamori. It produces plenty of citric acid which helps to prevent the souring of the moromi. Of all three kōjis, it most effectively extracts the taste and character of the base ingredients, giving its shōchū a rich aroma with a slightly sweet, mellow taste. 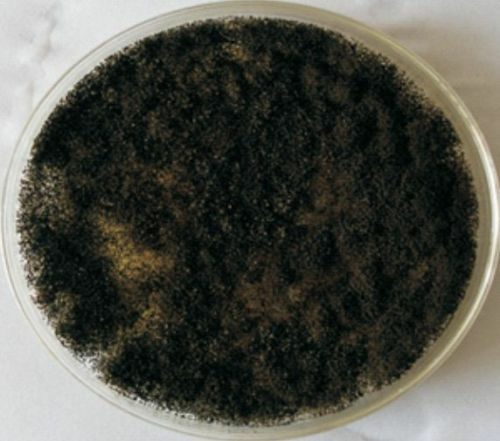 Its spores disperse easily, covering production facilities and workers' clothes in a layer of black. Interest in black kōji re-surged among honkaku shōchū makers because of the depth and quality of the taste it produced. Several popular brands now explicitly state they use black kōji on their labels. Honkaku Shochu (本格焼酎) translates “genuine shochu.” Honkaku Shochu is produced in small batches on a classic pot still. Since it only gets distilled one time, the flavors of the main ingredient are preserved, giving each type of shochu a unique character. 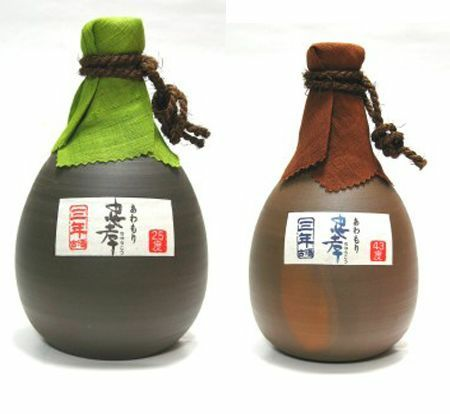 Only shochu produced in this traditional manner can be labeled Honkaku Shochu (本格焼酎). Awamori (泡盛) is an alcoholic beverage indigenous to and unique to Okinawa, Japan. 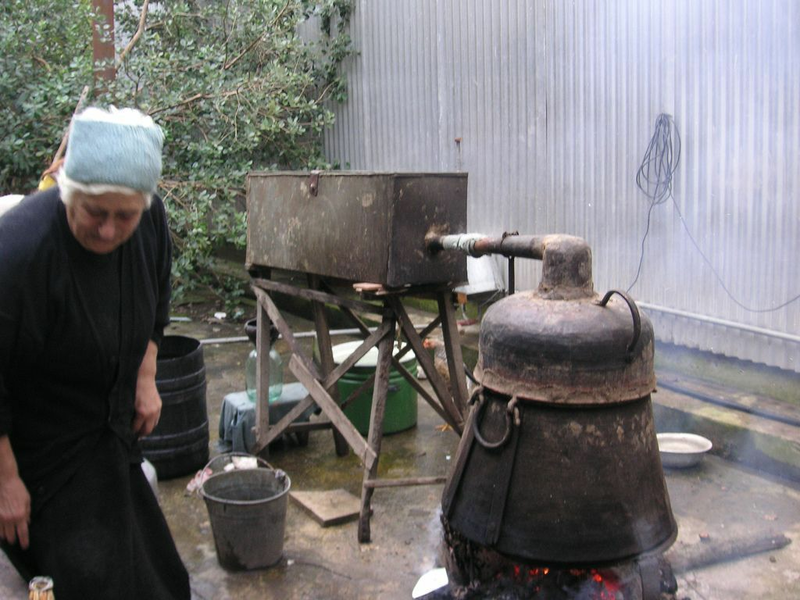 It is made from long grain Indica rice and is not a direct product of brewing (like sake) but of distillation. All Awamori made today is from long grain Indica rice imported from Thailand, the local production not being sufficient to meet domestic demand. Another name for Awamori used in Okinawa is "island sake" (島酒 shima-zake), or Shima for short. Awamori also relies exclusively on black koji spores to convert the starches in the rice into sugar. As such, awamori only undergoes a one-stage fermentation as opposed to shochu, which undergoes a two-stage fermentation.